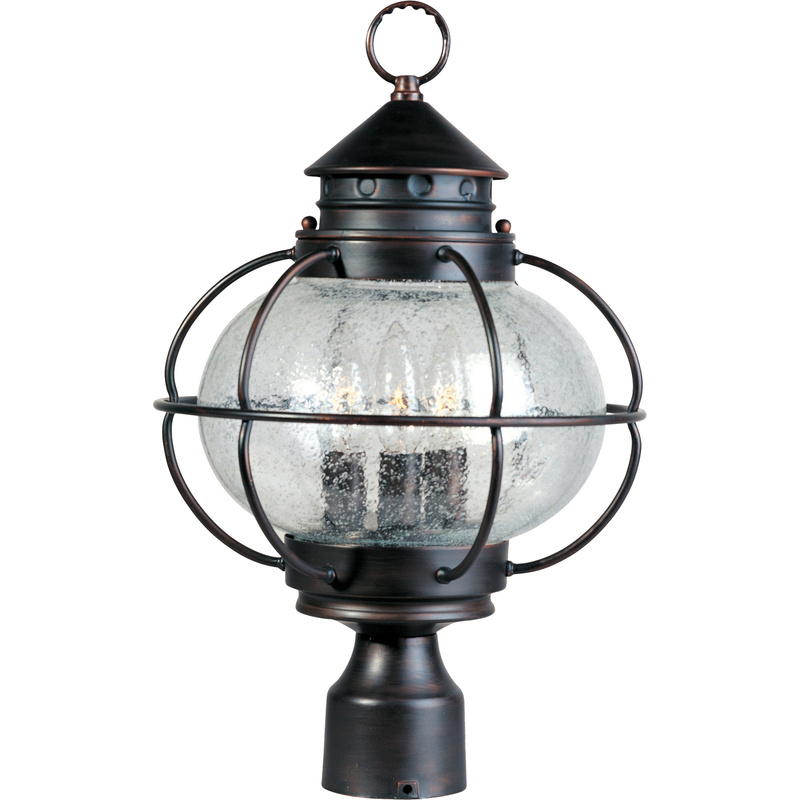 Maxim Lighting Portsmouth Collection Outdoor pole/post lantern in oil-rubbed bronze finish, has aluminum construction for corrosion resistance and durability. This traditional lantern features seedy glass shade. 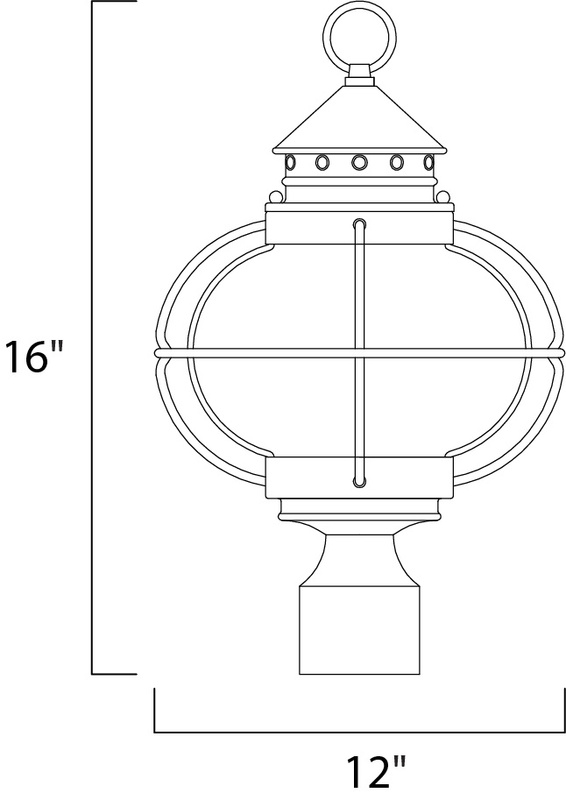 The lantern has a voltage rating of 120-Volts AC and power rating of 120-Watts. It supports three 2016-Lumen incandescent lamps with a power rating of 40-Watts each. It is suitable for use in wet areas.